Share the post "Sailing with Dragons: A Tour in Game of Thrones Filming Locations"
We are already in the middle of spring, but winter is coming in a world far far away…You guessed right, we are talking about the eighth and final season of Game of Thrones, one the most popular TV series in the history of TV worldwide. The first episode will premiere on 14 April 2019, and hundreds of millions of Game of Thrones fans will tune in to find out who will sit on the coveted throne. Will it be Daenerys Stormborn of the House Targaryen, First of Her Name, the Unburnt, Queen of the Andals and the First Men, Khaleesi of the Great Grass Sea, Breaker of Chains, and Mother of Dragons – call her Khaleesi if you like – Jon Snow (aka Aegon Targaryen) or that otherworldly cool chap, the Night King? We will all find out in a few months, but in the meantime we can always visit some of the most beautiful Game of Thrones filming locations around the world. Did you know that some of the most haunting scenes of Game of Thrones have been filmed in Dubrovnik and Split in Croatia? Let Click&Boat take you on a unique boat ride from King’s Landing to the Red Keep, with stopovers at other iconic GoT locations.  Here is a unique Game Thrones guide to boating for all dragon lovers out there. 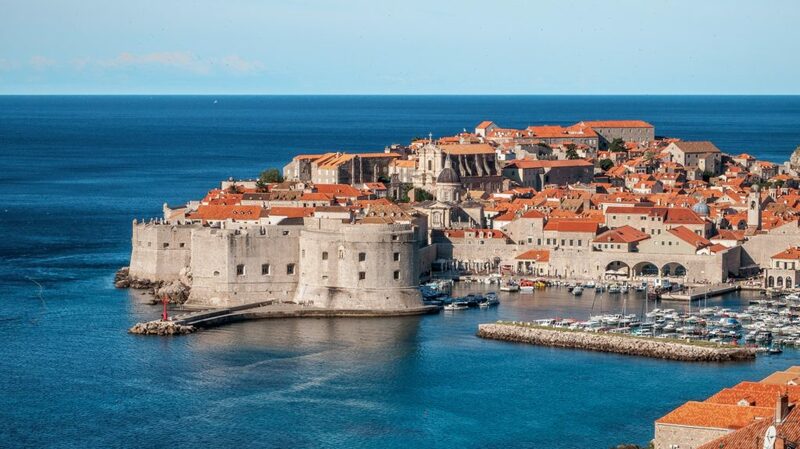 When looking for idyllic locations combining natural beauty with a rich history and medieval castles, the producers of the series picked Croatia without a second thought. Dubrovnik, a medieval city famous for its defensive fortifications, is home to King’s Landing, the capital of the Seven Crowns where Cercei Lannister weaves her notorious plots, while the famous Diocletian’s Palace in Split served as a filming location for the slave city of Meereen, conquered by Khaleesi (for full name check above) and her dragons. As for nearby destinations for an island-hopping trip, we recommend Brac, Hvar, Vis and the Hell Islands near Split, or Mljet, Sipan and perhaps Bosnia-Herzegovina from Dubrovnik. And then there is Sibenik, where you might encounter some of the shrewd bankers of the Iron Bank of Braavos. Daenerys’s return to Westeros after many many years in exile. Jon Snow’s first encounter with Drogon, the fearsome dragon. And of course the former headquarters of a troubled soul called Stannis Baratheon. There is no doubt that Dragonstone is an iconic location in the imaginary world of George R. R. Martin. 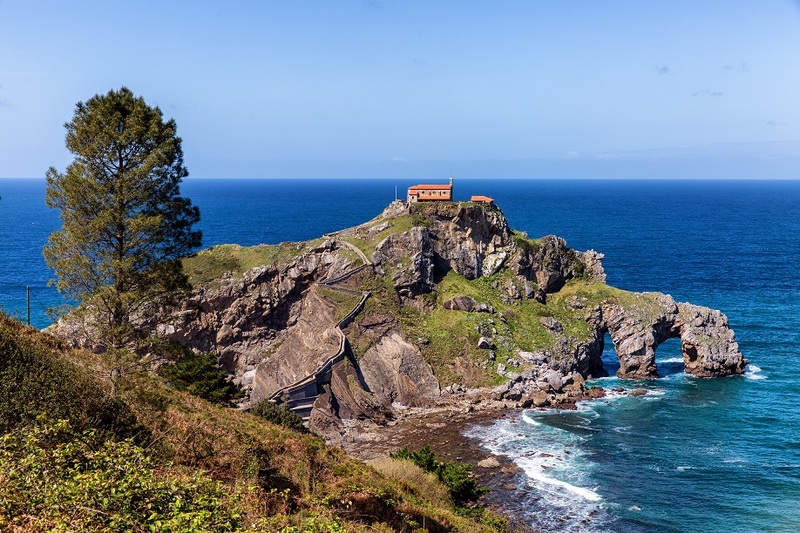 In real life, it is known as the castle of San Juan de Gaztelugatxe and it’s located in the Basque Country, Spain. This medieval castle, surrounded by rough waters as depicted in GoT, has a rich history of its own that made it an ideal choice as a Game of Thrones filming location. To mention just one legend around it, St John reached the castle in just three strides – today, you can still see the footprint left by his last step. More recently, historical figures such as the famous pirate Francis Drake claimed a piece of the castle. Nowadays you can visit this place of rugged, no-frills beauty by car from Bilbao or by renting a boat in Santander. Which island could serve better as a filming location for a TV series with a medieval vibe than Malta, ruled for many centuries by the Order of Knights of the Hospital of Saint John of Jerusalem? On this Mediterranean island you will find no fewer than seven Game of Thrones filming locations! 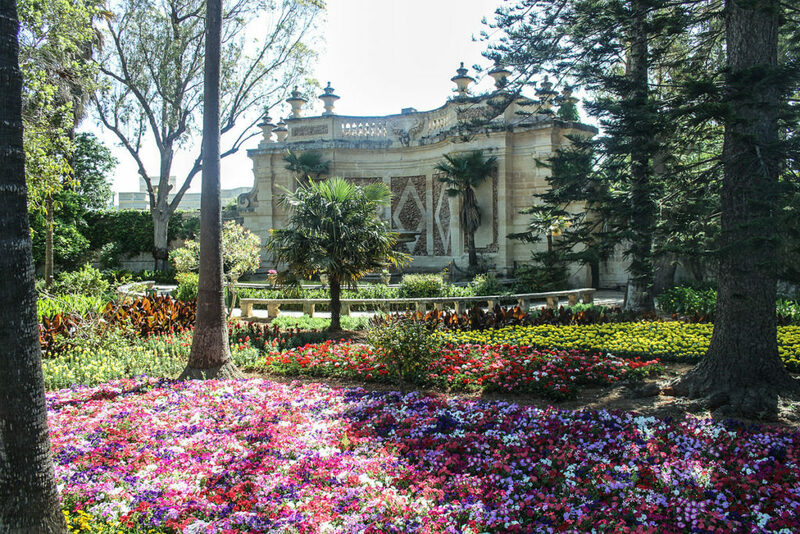 Take for example San Anton Palace and its beautiful gardens, as well as Fort St Angelo, featured in the series as Red Keep, or the walled city of Mdina, used to depict parts of King’s Landing. Sadly, what is perhaps the most iconic Maltese location that has been featured in Game of Thrones does not exist anymore. The ‘Azure Window’ was a natural arch made of limestone on the nearby island of Gozo; this is where Daenerys’ unfortunate wedding with Khal Drogo was filmed. The arch collapsed in 2017 during a storm. Last but not least, you can visit Fort Manoel on the island of Manoel to check out the magnificent Great Sept of Baelor. Meet us at Paris Boat Show, France’s biggest boating event!